Do you or your teenager (14-17) want to get involved in Motorsport? 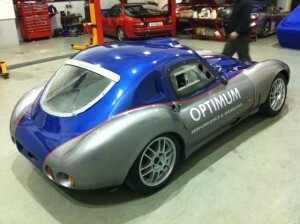 Why not race in a Ginetta g20 race car under the guidance of OPH racing in the Irish one make series, which offers fantastic fun and a genuine opportunity into professional Motorsport! 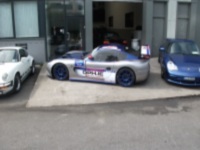 The concept is that identical Ginetta g20 race cars, driven by 14-17 year old male and females, race over a six round championship (12 races) to decide the overall Irish champion. The overall champion is then given free entry and the use of a Ginetta g40/50 to race in the UK on the prestigious TOCA racing package supporting the British touring cars as their prize. This prize is valued at £25,000 and gives a genuine opportunity to start a top level career in Motorsport. Whilst this is a magnificent prize it is obvious that it is not expected for everyone to become a top level professional racing driver, but what we do regularly see is a large number of parents having amazing fun along with many memorable and new experiences with their children/young adults. The high level of car control and awareness which is gained by driving at this level is something that is carried on throughout your child’s lifetime. We feel this level of control which brings an additional level of safety through understanding is also massively beneficial to them.hat we do regularly see is a large number of parents having amazing fun along with many memorable and new experiences with their children/young adults. Racing in the series is safe, controlled, fun and equal for all involved. 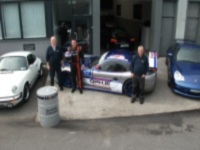 We can offer all you need to make it happen from start to finish, whether that is getting your race licence, or how to drive the car we are offering a comprehensive package to make it all happen at a reasonable cost. 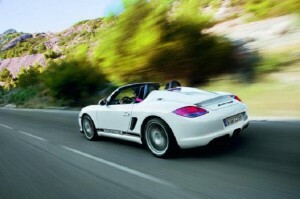 Would you like to experience and explore the fantastic dynamic performance limits of the Porsche 911/boxster in a safe, controlled and fun environment? 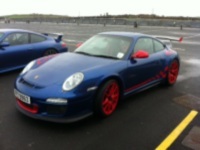 Why not spend the day with us on track and have lots of fun while mastering how to control either a 911 or a boxster? On the day you will be explained how to control many techniques and dynamics such as under steer, over steer, trail braking, weight distribution, balancing the car and much more which will help you understand what is happening with the car when you push towards its limits and keep it all under control, with this knowledge and understanding you can then drive towards those limits and apply the techniques whilst under our guidance. We provide everything you need to make this happen including the cars, instruction, tracks, fuel, food and refreshments. All you need to do is book with us and we will organise the rest! Spring is just around the corner and it’s time to start thinking about planning for the Summer months ahead from many points of view. So to try and make life a little easier from a motoring point of view we are offering a 30% discount on all service work for the month of March on all bookings made up to the 1st March. For Example call /e-mail to make your booking date for a day that suits you in the month of March before close of business this Monday 4th March to avail of this offer. This offer includes free collection and delivery, (in the Dublin area), valeting and a comprehensive vehicle health check in the fixed price. Prices are as little as €99 for an oil and filter change to €399 incl vat for a Major Service on all Porsche models from 1997 to 2010 inclusive. This is obviously excellent value for money and not to be missed. If you need any clarification on when your service is due, please feel free to contact us and we will advise you.